Из-за плагина, плэйлист стал повторяться бесконечно. 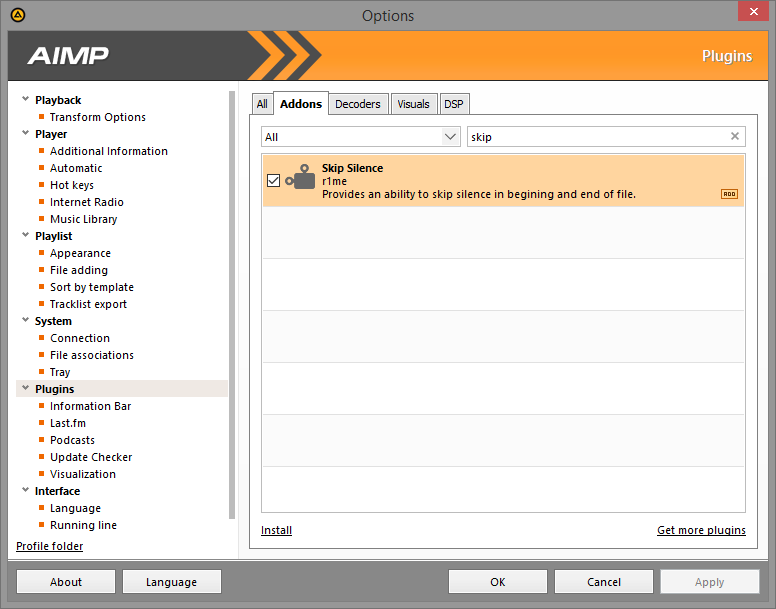 There is an issue that causes AIMP to skip audio tracks, as described in here. If you have any suggestions about fixing that issue, or want to participate in writing more features (Delphi), feel free to use Issues page or pull request. your plugin is amazing but when im using it i noticed that the "Track auto repeat" doesn't work no more, so the player go ahead to the next song in the playlist, once i deactivated the plugin the auto repeat started to work again. Im using Aimp v4.51, build 2070 (01.04.2018), and the plugin is the only existent version i downloaded today (07.04.2018) from the aimp section. Im running win7 64 bit. Great, i didn't know that.